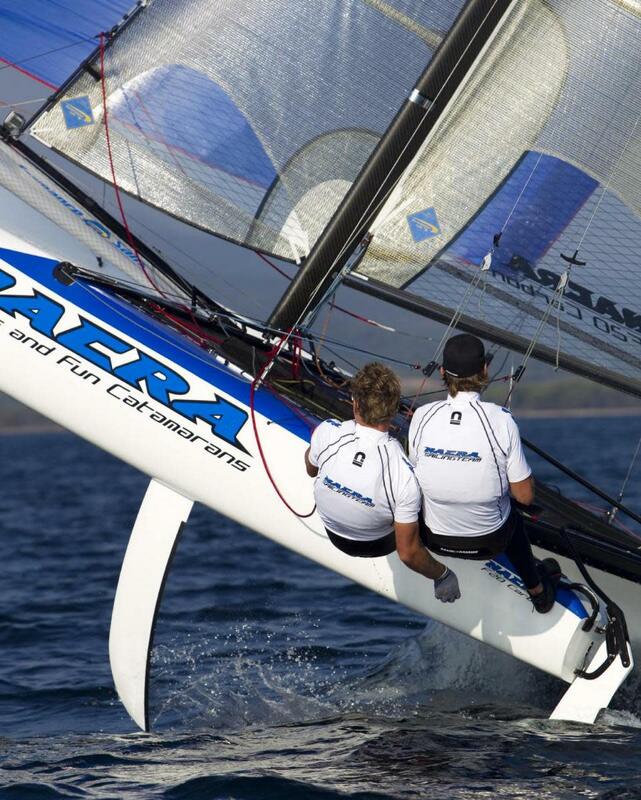 Nacra is a transatlantic brand, combining the design expertise of Morelli & Melvin in the United States with the cat racing expertise of Gunnar Larsen and Peter Vink at Nacra Europe and Performance Sails in Holland. Nacra is a transatlantic brand, combining the design expertise of Morelli & Melvin in the United States with the cat racing expertise of Gunnar Larsen and Peter Vink at Nacra Europe and Performance Sails in Holland. 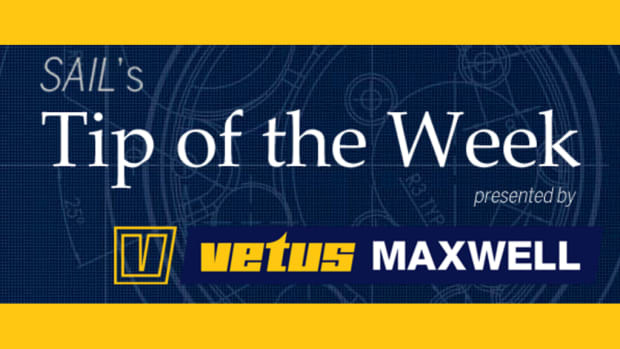 Their most successful collaboration has been the Nacra Infusion, winner of two Formula 18 world championships. 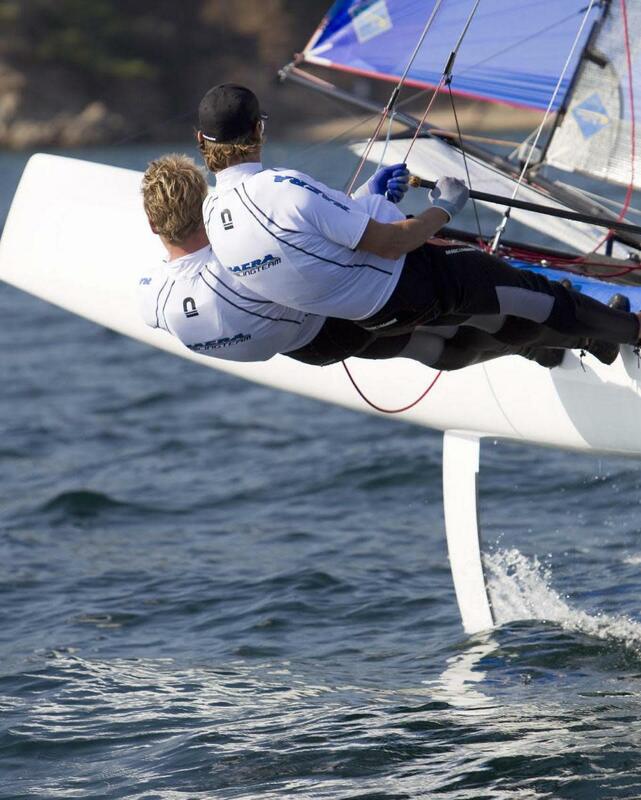 The Nacra 20 Carbon is a spectacular new one-design that is very light—20 pounds lighter than the smaller Formula 18—very stiff and very powerful, with its all-carbon wave-piercing hulls and a superb carbon/Kevlar mainsail. 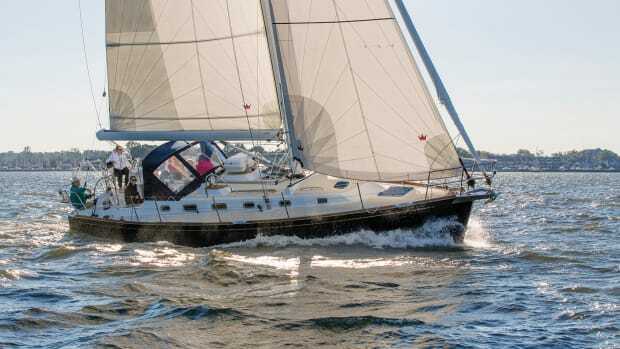 It is fitted with curved carbon daggerboards, following the current major trend in high-performance multihulls, and has 10ft 6in of beam, providing a huge lever for the crew to hold down a bigger mainsail and spinnaker. 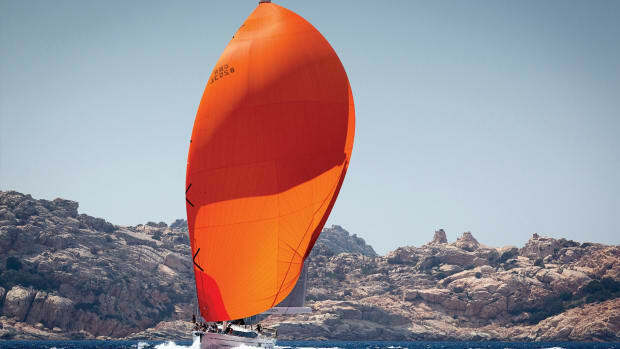 Sailing in a light to moderate breeze, I found the boat to be stable, predictable and effortlessly quick. 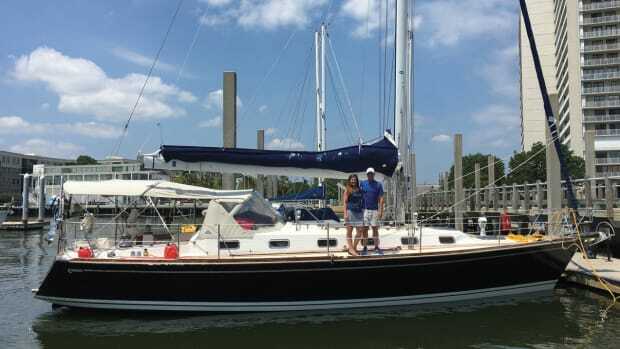 It’s easy to get on and off the trapeze, crewing or helming, and there’s more than enough room for a couple of six-footers, this on a boat designed to sail fast with 375-465 pounds of crew weight. 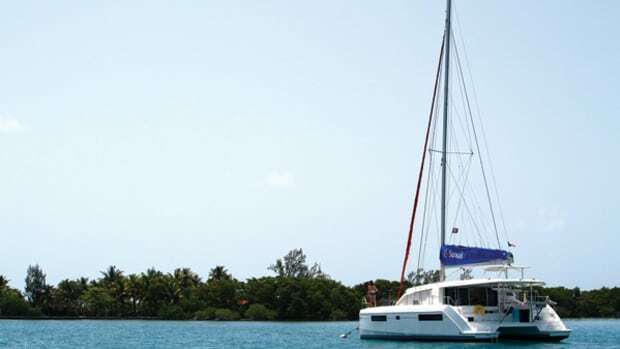 Trim is less critical than on a shorter catamaran, as the 20ft of leeward hull provides great longitudinal stability. During our sail the mainsheet load upwind and spinnaker load off the wind felt surprisingly heavy, even though we doubled up the standard single blocks for the spinnaker sheets. Easing the halyard flattened the spinnaker and lightened the load. But the bottom line is that sails of this size and power require well-toned arm muscles. 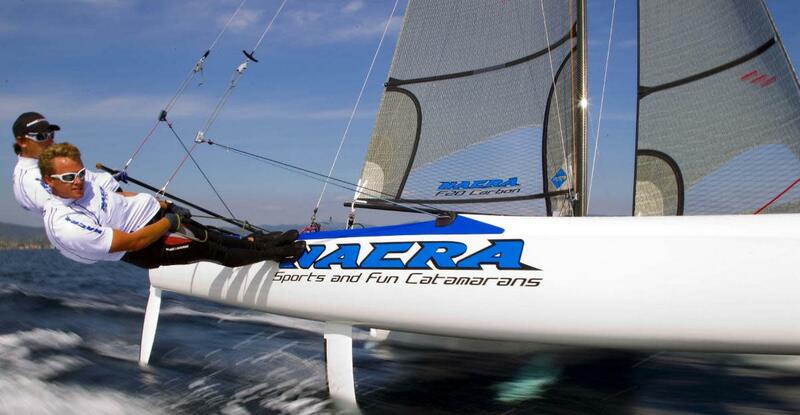 For the person at the helm, the Nacra 20 Carbon is a delightful and thrilling boat to sail. It’s a beauty to drive off the wire with the telescoping tiller extension, providing one of the very best steering sensations I have ever experienced on a cat—a true testament to the skills of the design team. Of course, steering and control will likely require a bit more concentration in a fresh wind with the boat leaping across the waves! 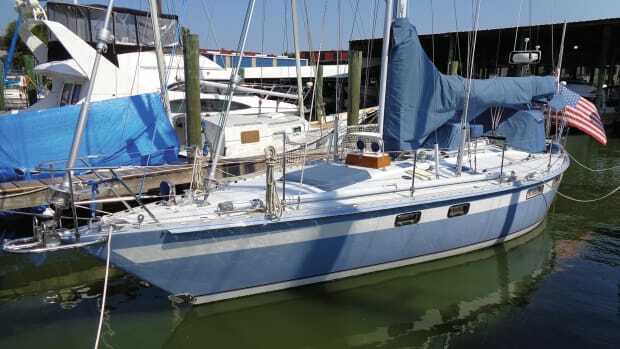 Thanks to its stable hulls, gybing the boat is fairly straightforward, though the helmsperson must watch where the boat is heading and be ready for the mainsail to power up, especially in heavier air. Despite the wide beam, tacking is predictable and reasonably quick. You would never choose to enter a tacking duel with a Laser, but that is irrelevant when you’re sailing three times faster. Despite their pronounced curve, the epoxy and carbon daggerboards appear extremely rigid, beautifully made and excellently engineered, as they slide effortlessly inside their curved cases. Learning how to use them properly, however, will take time. They did not feel particularly different from straight daggerboards in the moderate conditions we experienced. But in stronger winds one or both hulls will tend to fly onto its foils at speed, particularly through waves, with the danger of crashing down and abruptly stopping.  The solution is to partly retract the boards as the wind gets stronger and the boat goes faster, keeping the leeward hull on the water to maintain maximum control. 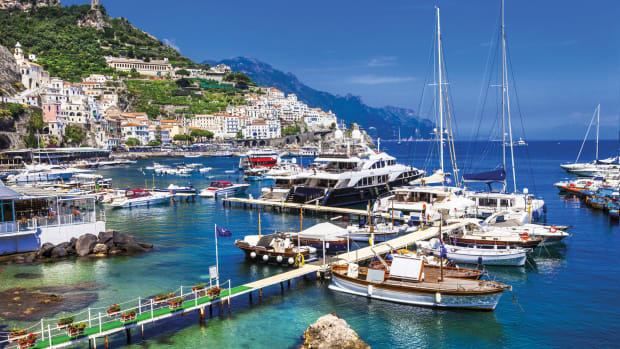 All in all, this is a beautiful boat capable of blistering speed and a truly thrilling ride in a wide range of conditions.